Directors – Morten Arnfred & Lars von Trier, Screenplay – Lars von Trier & Tomas Gislason, Based on a Screenplay by Lars von Trier & Niels Vørsel, Producers – Sven Abrahamsen, Philippe Bober, Peter Aalbaek Jensen & Ole Reim, Photography – Eric Kress, Music – Joachim Holbek, Makeup Effects – Kim & Lis Olsson, Art Direction – Jette Lehmann. Production Company – Zentropa Entertainments/Danmarks Radio/Swedish Television/WDR/Arte and the Co-Production Office. The Kingdom hospital in Copenhagen is haunted by a mysterious ambulance that keeps pulling up outside the entrance and then vanishing. The arrogant and unpleasant Swedish doctor Stig Helmer has recently taken up a position as consultant neurosurgeon. Helmer dismisses one patient Sigurd Drusse as a malingerer but she is a medium and contrives to make her way back into the hospital, drawn by the ghostly voice of a child crying in the elevator shaft. Helmer tries to cover up a botched operation but his bullied junior surgeon Jurgen Hook gets copies of the reports and uses them to blackmail Helmer. Helmer responds with a plan to use a Haitian zombie serum on Hook. Meanwhile, pathology head Professor Bondo wants a diseased hematoma for his research. When the family are unwilling to sign the body over to him, he decides the only way is to have the hematoma transplanted into himself. Mrs. Drusse finds the ghost is that of young Mary Jensen who was killed in the hospital. As she attempts an exorcism, she discovers that Mary is about to reborn as the child that the neurologist Judith has suddenly become pregnant with. The Kingdom was a hit Danish tv mini-series. It originally aired in four episodes of one hour length and was released to international film festival audiences in two parts of two-and-a-half-hour length. The Kingdom was the brainchild of Lars von Trier, the director who had made a big international splash with Zentropa/Europa (1991), before subsequently going into the critical accolades of Breaking the Waves (1996), The Idiots (1998), Dancer in the Dark (2000), Dogville (2003), Manderlay (2005), The Boss Of It All (2006) and Nymphomaniac (2013). Lars von Trier is, in this author’s opinion, the most interesting and adventurous director in the world at the moment. Lars von Trier admits the source of inspiration for The Kingdom was the David Lynch tv series Twin Peaks (1990-91) whose shadow of bizarre happenings hangs over everything here. The series takes its time to build but becomes compulsive watching once it does it. There is an especially rich vein of black comedy running throughout – like the operating room sequence where Ernst Hugo Järegård finds he has to operate on a patient who has been hypnotised rather than anesthetised and keeps waking up throughout; or the scenes involving the various attempts to break into the archives that all go catastrophically wrong; and the end of the show with everything bizarre in the hospital contriving to make itself known at once. Ernst Hugo Järegård gives a wonderful performance as the bullying Helmer – his rants against the stupidity of the Danes on the roof of the hospital and the scene where he dresses Søren Pilmark down for ordering a CAT scan are side-splitting. Balanced against this are a series of eerie manifestations of the supernatural. 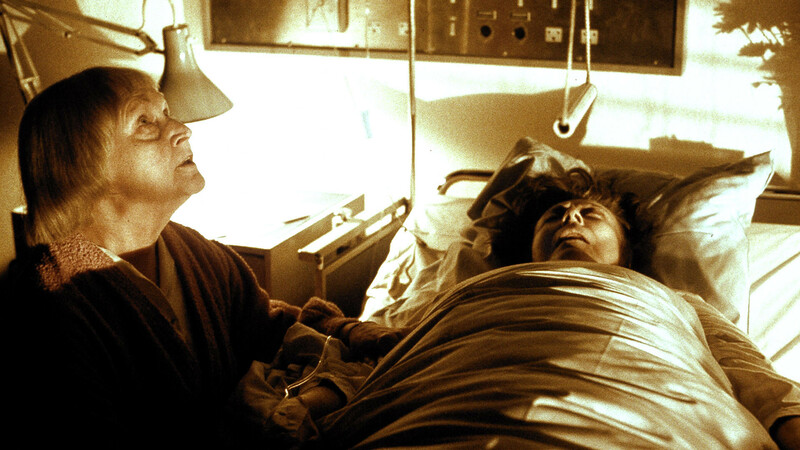 There is a spooky scene with Kirsten Rolffes communicating with a dying woman, which is conducted by the dying woman causing the room’s neon fluorescent lights to flicker. So too are the scenes where they manage to pick up the little girl crying “Why did they kill me?” in the background noise of the room, or the moment where Kirsten Rolffes walks through the hospital with the little girl’s doll and her ghostly hand comes up through the floor to grab it. Also very effective is the opening credits sequence that clearly sets itself in the divide between science and superstition, which contains a striking metaphor about the cracks in the walls of reason having started to appear. The spooky manifestations aside though, one cannot help but feel that the appearance of solely a ghostly little girl does sell a grandiose concept as the breakdown in the walls of reason short. The series is shot in sepia-tone which, when seen in cinematic blow-up, is blurry on the eyes, something further added to by much use of handheld camerawork. 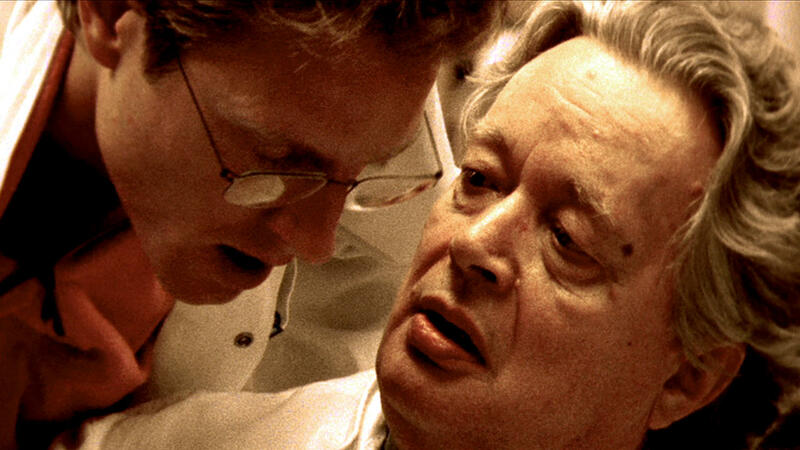 The biggest downer about the film version is that after some five hours it ends with a frustrating ‘to be continued …’ This was taken up with the lesser but nevertheless still enjoyable The Kingdom II (1997) where Lars von Trier, Morten Arnfred and the whole cast returned. This, however, was not the end either. Both von Trier and producer Peter Aalbaek Jensen promised a final wrapup The Kingdom III, but the subsequent deaths of both Ernst Hugo Järegård and Kirsten Roelffs seemed to put an end to the likelihood of this. The series eventually underwent remake for US tv as Kingdom Hospital (2004) scripted by Stephen King, which ran for thirteen episodes. Although faithful to the original, the element of black comedy was distinctly missing and the series a disappointment. 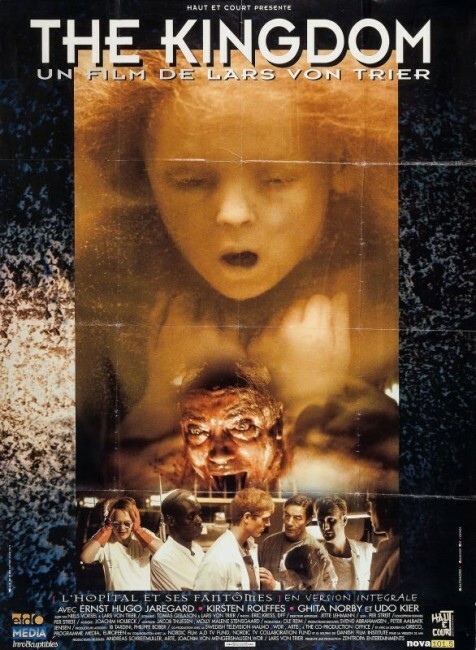 (Winner in this site’s Top 10 Films of 1994 list. Winner for Best Actor (Ernst Hugo Järegård), Nominee for Best Actress (Kirsten Rolffes) at this site’s Best of 1994 Awards).